call 1-866-462-5982 or click here to email. Legendary singer-songwriter Barry Manilow brings an all new show full of music and magic to the intimate Paris Théâtre at Paris Las Vegas in March, commencing a two-year residency that promises to present the sincere and unforgettable songs of this exciting, energetic performer in a whole new light. Over the past 35 years, songs like “Copacabana,” “Mandy” and “Can’t Smile Without You” have made Barry Manilow a true musical icon. He’s the top-selling, top-charting adult contemporary artist of all time, with 80 million records sold to date and 25 consecutive Top 40 hits between 1975 and 1983. Barry Manilow is a fitting headliner for Paris Las Vegas, a destination known for romance and energy. He will perform on selected Friday, Saturday and Sunday nights over the next two years. Tickets are now on sale for performances between March 5 and July 18, 2010. Prices range from $95-250. Get yours online at ticketmaster.com, by calling 1-800-745-3000 or by visiting the Paris Box Office. Hotel packages are also available! Weekly Platinum Experience tickets will also be available, with proceeds benefiting the Manilow Music Project, a non-profit organization dedicated to putting musical instruments in the hands of middle and high school students. This special package combines front-row seats, pre-show Champagne reception, a meet & greet, a photo with Barry Manilow and an autographed show program. 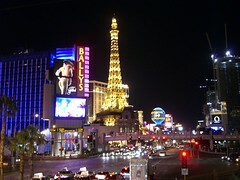 Visit www.ManilowParis.com or call 310-957-5788 to reserve your Platinum Experience.